Modular solutions for efficient production. PEMA provides modular solutions for efficient micropanel production. Our mechanized and robotized micro panel line solutions are designed to build up panels, side wings, frames, webs, bulkheads etc. 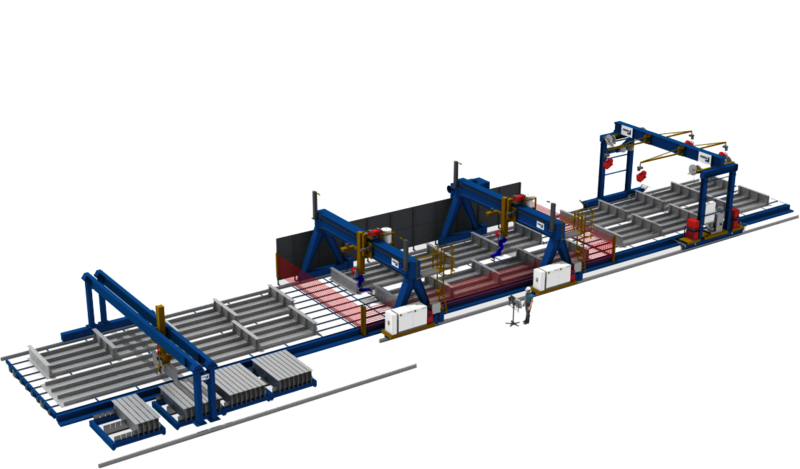 PEMA Micro panel lines with partly or fully automated unique assembly devices, effective welding robots and high-end panel transportation system provides huge savings to your production, man-hours and increases the output of your micro panel production. 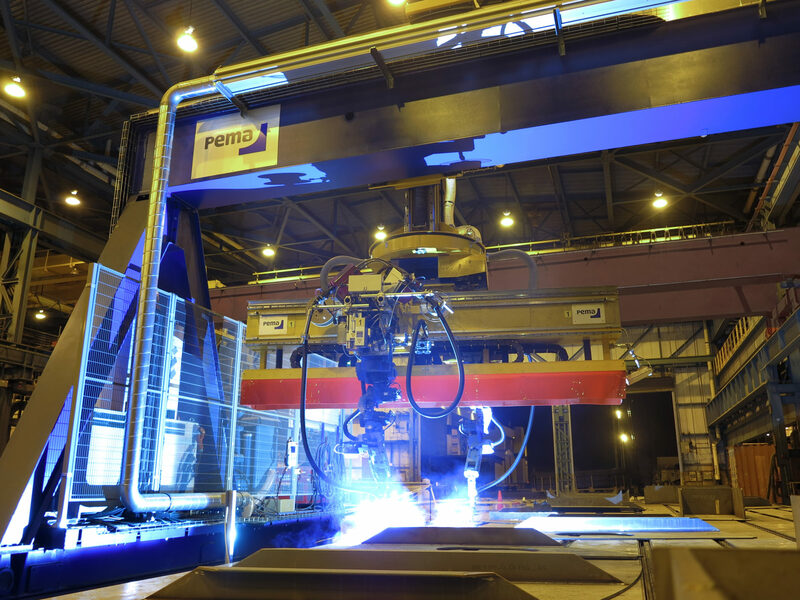 Robotic welding solutions for a micro panel fabrication are proven tecnology – customer who chose the robotic welding have not turned back – they are still on that path. system to the micro panel fabrication will give you a new step for productivity. Contact PEMA Sales for more information.